As a property enthusiast and Real Estate Professional, Tarryn prides herself on striving to provide the best possible service and to leave no stone unturned for each and every one of her clients. 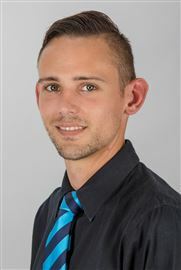 Tarryn currently specializes in the Wilgeheuwel area as the Sectional Title Area Specialist. The extensive knowledge of her area allows her to achieve the best possible prices, in the shortest period of time and hassle free. Tarryn joined Harcourts Rhino in April 2011 and have since gained an immense amount of knowledge and experience which has allowed her to grow tremendously as a successful agent. In 2013 Tarryn was awarded the most improved agent and had won numerous certificates for performance. Tarryn studied Psychology at the University of Pretoria where she graduated in 2006. Tarryn has also completed a certificate in Human Resources from UNISA. Tarryn is a NQF4 qualified Real Estate Agent and is registered with the Estate Agencies Affairs Board. 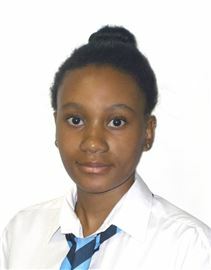 Tarryn believes in always doing the right thing and is always honest and transparent in all her daily activities. Tarryn is driven and committed to giving each and every client the best possible Real Estate Experience!! Wium started with Harcourts Kosmos in September 2018, having been a part of the Harcourts family since January 2017, making the move from Harcourts Ballito & Fourways to become a property specialist in residential sales, & fast becoming the resident area specialist near you. Being a truly unique born & raised South African, his perspective on life & personality has been shaped by his experiences both in SA & abroad. Having had the opportunity to work & stay abroad, he decided to return to South Africa in 2008 to build a life & career in his home country. With his clear focus on delivering service excellence, commitment to Harcourts values and a disciplined & diligent work ethic, Wium endeavours to add value to any transaction with a clear focus on customer service. His favourite quote; “Customer Service is an attitude, not a Department”. Call Wium Lamont today for your property needs, whether it be buying or selling, or simply to seek professional advice. Experience the Harcourts Difference today! One of the last stands left!! Best Buy in The Coves!! This stand with amazing view!